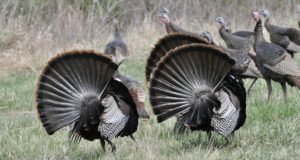 Hunters can start making plans for the upcoming seasons now by applying for the Texas Parks and Wildlife Department’s Drawn Hunts. The online system is currently accepting applications and the first hunt category deadline is less than a month away. The program’s highly-popular private lands dove hunt permit category will feature almost 150 hunt slots at seven prime locations around the state, including dove rich Uvalde, south of San Antonio near Pleasanton, north of Dallas/Ft. Worth in Young County, and newly acquired opportunities in Bell and Ellis counties. These permits are for dedicated hunt positions with quality dove hunting outfitters. Application fee is $10 with no additional hunt permit fees for this category. 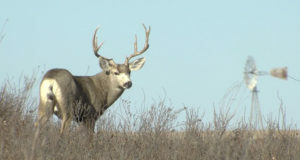 Among the program changes this year, all drawn hunts associated with the $48 Annual Public Hunting (APH) Permit will not be available for application until Aug. 15, when APH Permits go on sale. Applicants for e-Postcard hunts and USFS Antlerless Deer Permits must have a current APH to apply. This change is intended bring the postcard hunts back to the way they functioned before the draw system went on-line. The first application deadlines are in August. Aug. 1 is the deadline for the alligator hunt categories, pronghorn, youth deer, and the new private lands dove hunts, and Aug. 15 is the deadline for archery deer, exotic, and javelina. Application deadlines are on the 1st and 15th of each month. A full list of category deadlines can be found online. Hunters can apply up to 11:59 p.m. Central Time on the application deadline, and after the application is submitted, they can check their drawing status online at any time. The Drawn Hunts program offers affordable hunting experiences throughout the state, including several Youth-Only hunt categories. Application fees are $3 or $10 depending on the hunt category. Adult hunters that are selected may also need to pay a Special Permit fee of $80 for regular hunts and $130 for extended hunts. Some categories, such as the Youth-Only hunts, require no application fees or permit fees. Permits are open to resident and non-resident hunters alike. Last year, about 4 percent of applicants were non-resident. For more information or to get started in the application process visit the TPWD drawn hunts webpage. For questions, contact hunt@tpwd.texas.gov or call 512-389-4505 between 8 a.m. and 5 p.m. Monday through Friday.